Right jab, left hook and a round kick, the opponent is knocked out. But the match does not stop until knockout; you either live or die! 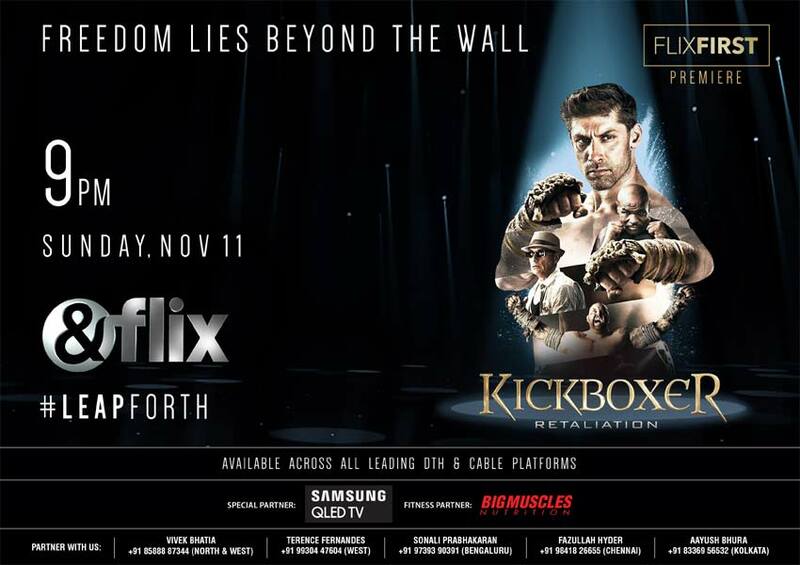 &flix brings to you another Flix First Premiere as it is ready to telecast ‘Kickboxer Retaliation’ for the first time on Indian television, this Sunday, November 11 at 9PM. Directed by Dimitri Logothetis, the film stars a dream cast ensemble featuring superstars like Jean Claude Van Damme who plays the role of Master Durand, Alain Moussi who plays the lead character as Kurt Sloane, Mike Tyson who guides Kurt and a cameo by Ronaldinho who plays himself. Given that Kurt’s previous trip to Thailand was a disaster, he vows to never go to back to Thailand. On his way to achieving glory and winning the MMA title, he finds himself sedated and forced back into Thailand, this time in prison. Kurt is forced to have an underground death battle to gain his freedom and a reward of one million dollars. Mongkut, the who is 6’8″ 400 lbs and has enhanced his capabilities with drug usage, is waiting eagerly to fight Kurt. To Kurt’s horror, after his refusal, a bounty is on his head inside prison, leaving him with no option but to face Mongkut. Kurt accepts the challenge and trains under the legends, Master Durand and Briggs (Mike Tyson). There is blood, there is pain, there is excitement and of course, there is the ultimate fight of death. Join in for the fight night at Flix First Premiere arena for Kickboxer Retaliation on Sunday, November 11 at 9 PM on &flix SD and HD!